Wow, I must say I am really getting into the whole, locally grown, fresh produce, handmade bowl, organic sausage…. Thing. I don’t know whether its that I’m in my thirties or my daughter being born but lately, the further things are away from being mass produced and the less distance they need to travel to get into my belly usually mean less stuff is added to them and therefore the are simply fresher and better. Makes sense so why fight it. I love it, I find myself more and more shopping organic, perusing the isle at co-ops and seeking out fresh markets with local fresh stuff. This brings me to my point. This past weekend I had the pleasure of taking my family to the Shaker Heights 2nd annual Garlic Festival. You man or may not know but every Saturday, a farmers market is held in Shaker Square. The whole street is blocked off and area farmers bring their jams and strawberries and honey and sausages and whatever else they have to sell and we get to enjoy it. This weekend was that on steroids. 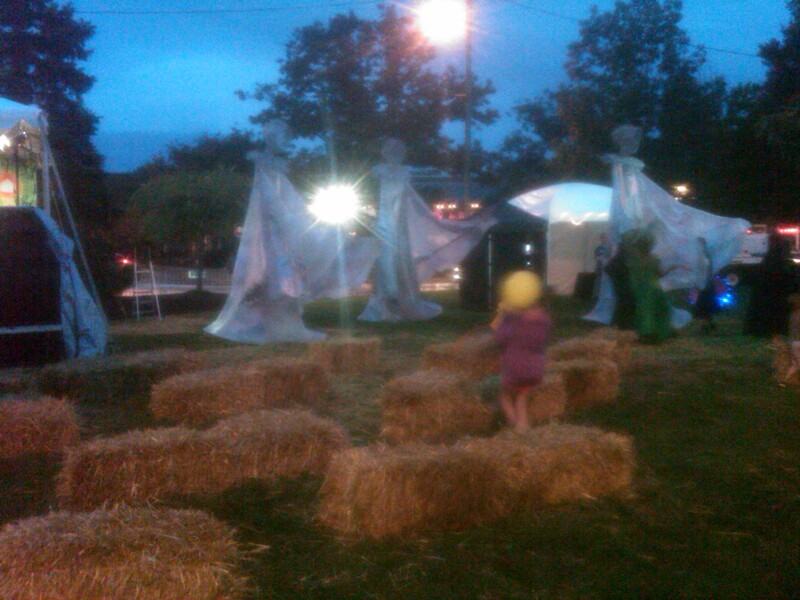 There were bands, beer, puppets dancing …the whole nine yards. It was $7 a person to get in but after all, it goes to support these farmers, and at the end of the day, I’m willing to shell out a little more if it means I can enjoy more of this kind of flavor from these type of folks. See you next year! Hi, great post. How was the event? I was hoping other people would post some comments or pics. I’m a new organic food believer. I didn’t get to go to this but more events in Shake Square would interest me. Any more soon? Thanks.